grandma's cookie jar: Simple and Meaningful Father's Day Craft! notes and cards I found on Pinterest! You just have to follow the link to find free printables and complete directions. 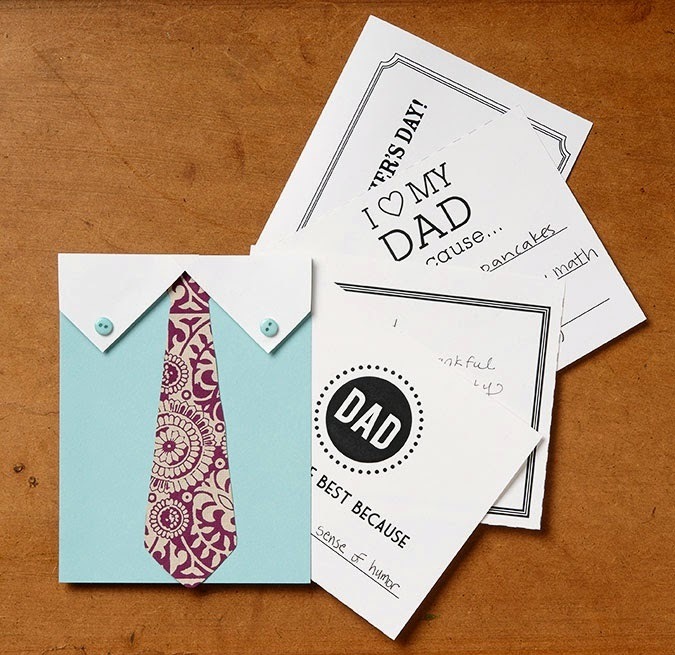 Print out some for each of your grandchildren and then help the fill them in for their dads . . . instant Father's Day gift . . . one which will have special meaning as it will reflect each child and their view of their dad! I think dads will love being able to see how their children fill in the notes . . . "You're the best because . . . ", "I love my dad because . . . ", "this coupon is good for one . . . " and one for children to draw a special picture for their dad! Like I said, a gift to be treasured for sure!